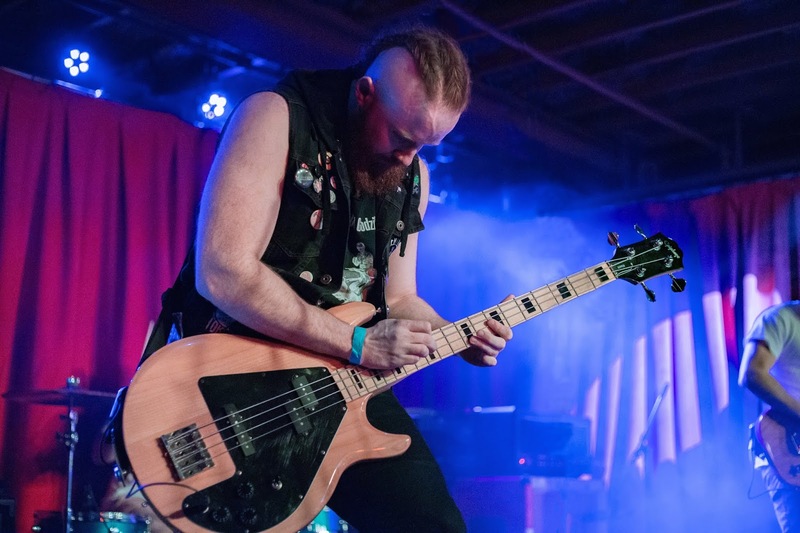 Ever since the release of their self-titled full-length album back in September of 2017, Of Night and Light have been all over the Western New York music scene. 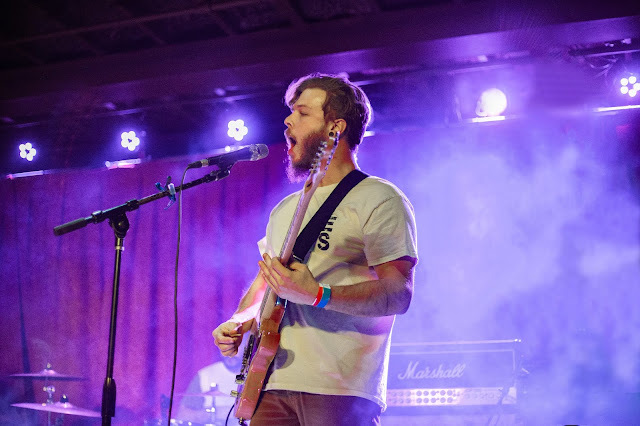 They have played a countless number of shows, from the sold-out Burt Fest last year, to the sold out Fernway EP release show and they even played a set on the WNY Korner Stage at the Buffalo stop of the final Vans Warped Tour. This year the guys in Of Night and Light even set out on their first ever tour that hit 14 different cities across the U.S. However, now Joe, Cameron and Nick have taken a slight “hibernation” from the stage to work on a new EP. From my investigations into this new EP I have found that this new project is said to be heavier and more cohesive than their past releases. However, there is no one better to comment on this EP than Of Night and Light themselves. When I asked Joe (Guitar/Vox) from ONAL how this EP is going to compare to their past releases he told me, “In so many ways it’s going to be different, better. The first release was good and I’m glad we did it. Too much of life is spent saying ‘could’ve’, ‘would’ve’, ‘should’ve’, and ‘what If’. We knew we wanted to do this and we wrote songs that were real and honest and it’s where we were. But we’ve grown so much as musicians, in our writing, in our sound. We’ve all really grown and thrown ourselves into honing our sound as a band and as individuals. Personally, I feel like I’ve grow so much the past year vocally. So, people can expect a maturity and cohesiveness to this next EP. in a lot of ways it’s much more raw and honest.” Cameron also added, “For this next EP we're focusing a lot on creating more contrast with dynamics and the ebb and flow between heavy and melodic elements - the night and the light and everything in between. Joe and I both have expanded our use of atmospheric and ambient tones so the melodic parts will be much more layered and intricate. Nick will be joining us on backing vocals as well which we are excited for. Essentially, we're trying to create a much bigger sound overall that still incorporates the feel and emotion of the first album but is simultaneously both raw and refined. And yes...the heavier parts will be much heavier!” That last sentence is music to my ears! While I enjoyed ONAL’s first release both when I listened to it on my own and when I saw it live, I was always hoping that they would make a track that was just a little bit heavier. To my absolute delight that is exactly what they did; fans who have seen them play recently might have noticed ONAL’s new track “Forgiving Isn’t Forgetting”, that currently isn’t released and is only being played live. I was luckily able to catch them play, “Forgiving Isn’t Forgetting” during their set at the Dilettante release show a few months back and can definitely say that this is my favorite ONAL song to date. I was instantly hooked right from the intro lick where Cameron hit those high notes on his bass, then they had me for sure when they revisit the lick during the post chorus. I am also one of the lucky few who have had the pleasure of hearing the almost finished master for, “Forgiving Isn’t Forgetting” and can attest to the fact that this is a side Of Night and Light that we have never seen before. This new side of Of Night and Light might be partly influenced by the fact that they are working with someone new to create this EP. They have teamed up with RJ Demarco (Vox/Guitar for Fernway) from Skyway Studios and when I asked Nick about this new partnership he told me, “We are very excited to be recording with RJ DeMarco, from Fernway, at his own Skyway Studios. It’s been really great working with him so far and we all appreciate his passion for music. Sometimes studio work can be stressful because you are struggling to get the best take or sound which can take a lot of patience and experimentation. Fortunately, RJ enjoys the process of recording, is flexible, and really fun to work with even if we need to do another take!” From what I have heard so far, the pairing up of RJ and ONAL has so much potential and I am super excited to see what the rest of this EP is going to sound like. Speaking of the future of ONAL, Nick also commented on this during our conversation, “After finishing the new album we plan to come out of “hibernation” ready to play as many shows as possible. We also plan on revisiting some of the areas that we stopped at on our last tour through the east coast, with less vehicle breakdowns hopefully :). We will release music videos for the singles “Forgiving Isn’t Forgetting” and “13 going on 28” before the album is released for people to have a preview of our new sound and the direction we are heading in as a band. We hope the full EP will be ready to release this summer.”. With the weather changing and a new ONAL record on the horizon, summer cannot come soon enough. You might be able to catch a performance of “Forgiving Isn’t Forgiving” at ONAL’s next performance on March 30th at the Firehouse Saloon in Rochester, NY. However, until then, get off the charts and support local music. Chandler Poczciwinski is a student at St. Bonaventure University in Olean, production director at WSBU 88.3 The Buzz, and producer for punk music blog, The Uncharted Hour. 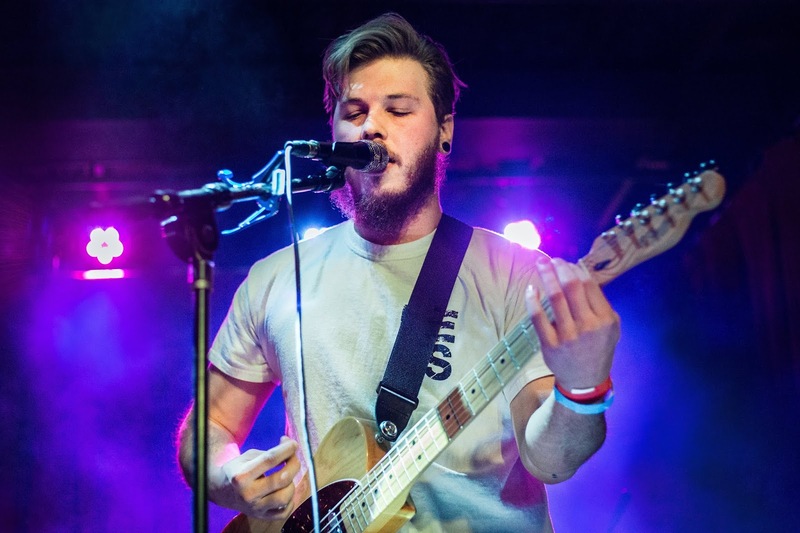 He is also the lead guitar player for the local pop-punk band, Among The Wolves. He reviews music for All WNY Radio.